This was the last P50 to be delivered into Australia and the only P50 available in Australia with a full beam master state room. 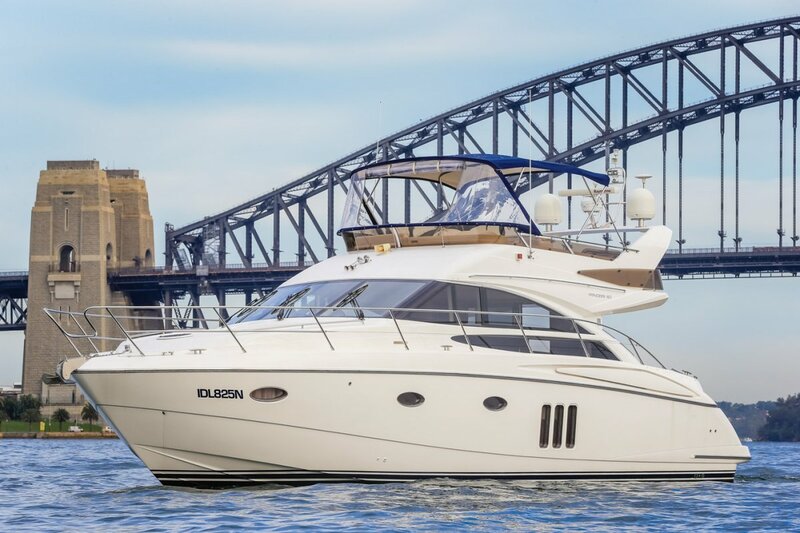 Presenting in excellent condition this P50 is boasting an extensive inventory including upgraded engines, Bow and stern thrusters, Watermaker, Foxtel and much more. Representing fantastic buying this P50 is a credit to her owner and a must to inspect. 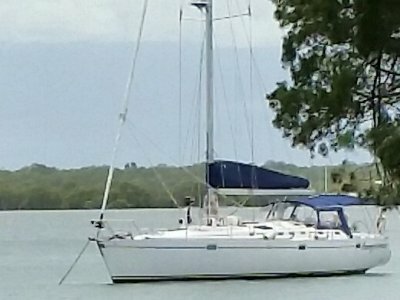 3 Cabin layout with ensuited mid ship full beam master, fwd VIP double ensuited to 2 way bathroom, side bunk room. Convertible double in saloon. Dishwasher, Cooktop with rangehood, Convection microwave oven, s/s sink, fridge. Icemaker to saloon. Premium Audio System - Saloon : Bose 3.2.1 GS DVD mdeia system. Master bedroom : JVC DVD/CD 20' TV. 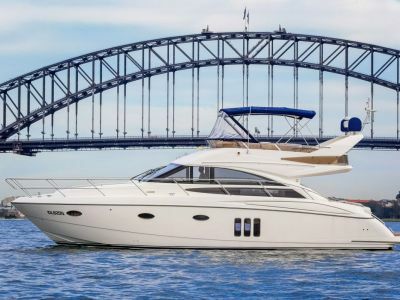 Flybridge : Waterproof CD/ Radio with waterproof speakers. Raymarine E120 GPS/ Radar/ Plotter with scanner at lower helm with Raymarine E120 display at upper helm. 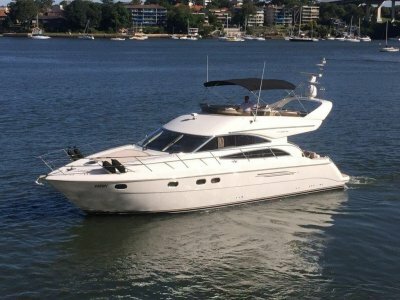 Accessories: Bow and stern thrusters, Foxtel, Water Maker, Washer dryer, reverse cycle air conditioning, electric raise/lower table to saloon, teak decks, wetbar to flybridge, clears to aft cockpit, screens. Beautiful light cherry finishes throughout. 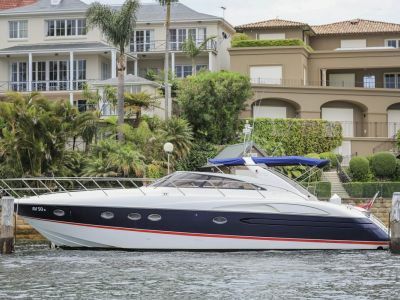 | Remarks: Please contact the Boutique Boat Company today for full specifications and photo file. Phone today, don't miss your opportunity to inspect this beautiful vessel.